It's always hard to come up with gifts for certain people. But do you know someone who loves to pamper themselves? I'm sure we all do. Well, Burt's Bees comes to the rescue with some of their sets, just in time for the Holiday season. I was able to get two different sets and share them with you. There are times I feel like really pampering myself, with a foot bath and pedicure. But I don't always want to go to the salon and pay to get it done. You don’t have to set a whole day aside for a little bit of well deserved pampering. Treat hands and feet to soothing Peppermint Foot Lotion, hydrating Ultimate Care Hand Cream, and restorative Lemon Butter Cuticle Cream. Comes complete with an ecoTools footbrush and pumice. 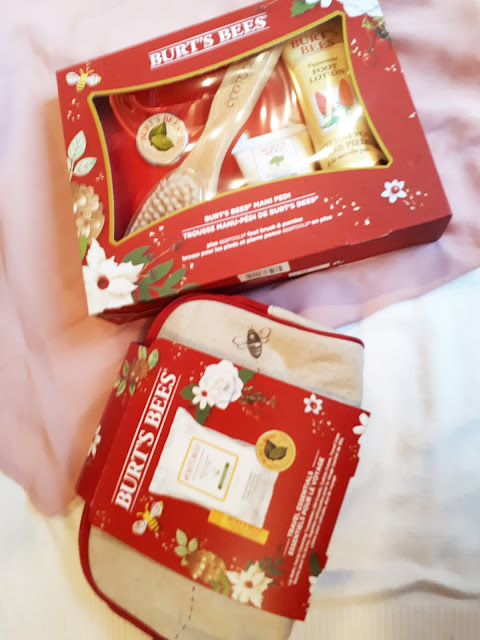 The hand cream and foot cream are both very soothing and creamy, and both soak into the skin quickly and don't leave a greasy feeling behind. The lemon cuticle butter can be described exactly as the product name. It's buttery, lemony, and quickly moisturizes your cuticles! Tis the season to travel—to ski slopes, to cozy cabins, or even to the Caribbean. 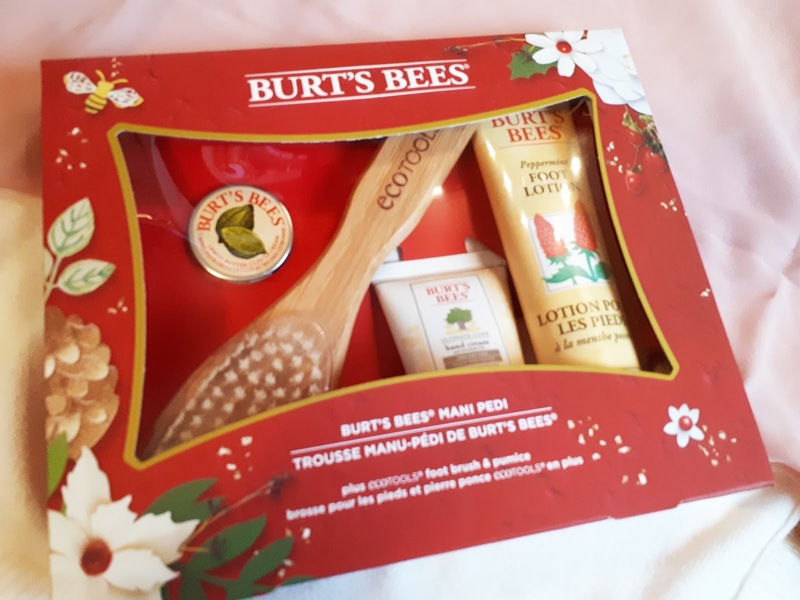 Wherever the holidays take you, go in style with these popular Burt’s Bees products, conveniently sized (and carry-on friendly). The beautiful canvas bag makes packing a cinch. 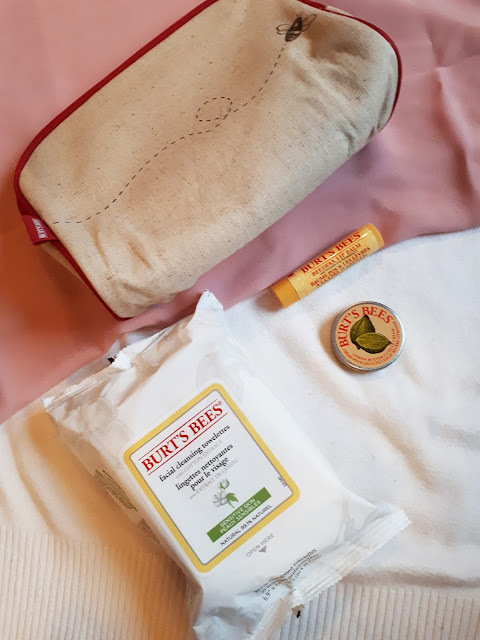 The original lip balm by Burt's Bees is probably my favourite lip balm of all time. It's soothing, and calming, especially when I get chapped lips. 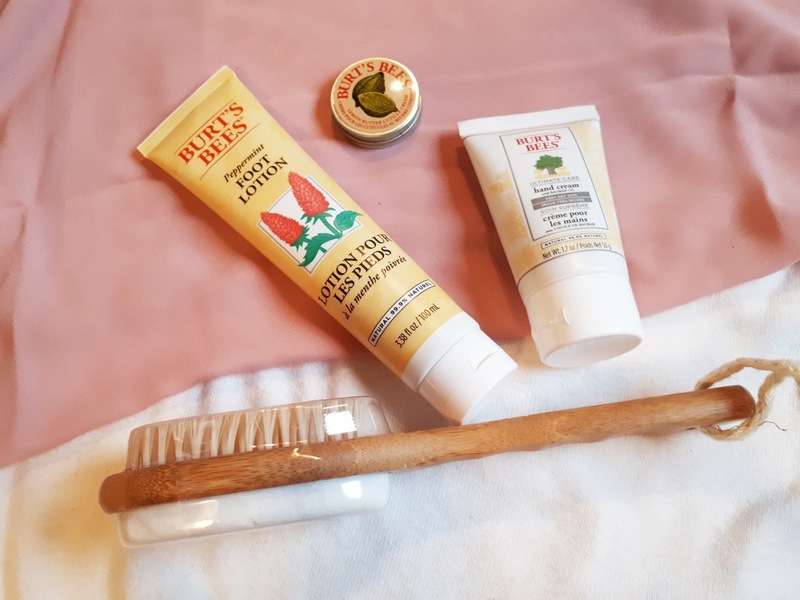 A few years ago, my lips were so chapped that it made a red dry ring around my lips, and Burt's Bees was the only lip balm that stopped the burning, and made it disappear completely. They will always be my go to, and number one recommendation for dry/chapped lips. These affordable sets are available at Walmart, and well.ca during the Holiday season! Pick some up for yourself, or pass them on as gifts.